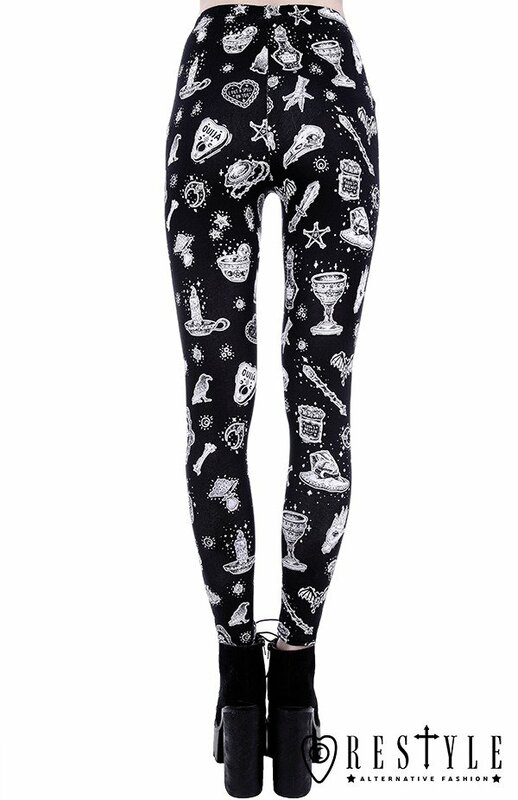 Black gothic leggings Magic print occult trousers "WITCHY LEGGINGS"
You save 75% (17,72 €). 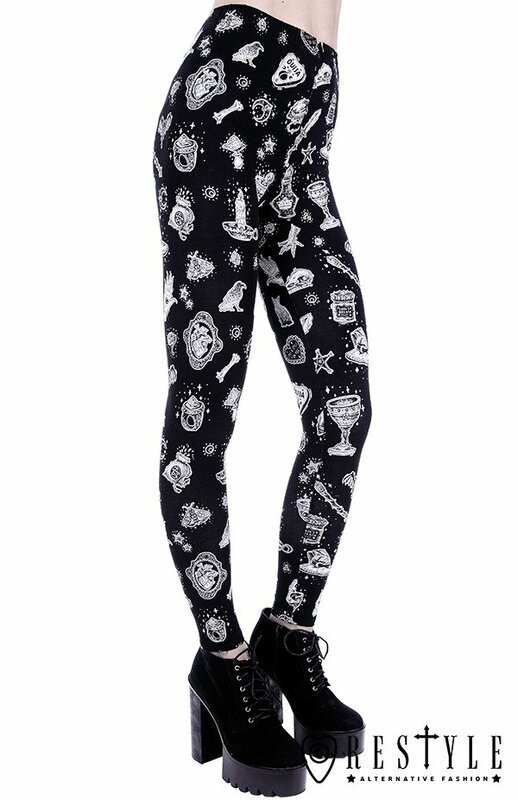 Leggings with printed magick objects! potions, sharp objects, magic talismans, witch hat, chalice, hearts with quotes: "Creep it real"
and "I put a spell on you", magic muschrooms, pentagrams, crystals, moons, bats and many more. Unique print which is not noticable on the surface of the fabric. Leggings are very nice and feel like good quality! They were unexpectedly a little short, but that's fine. I ordered the size XXL, which fit just right on the thigh and on the leg but was slightly loose on the waist and ankles. All in all, I'm very happy with the them! Love these!! 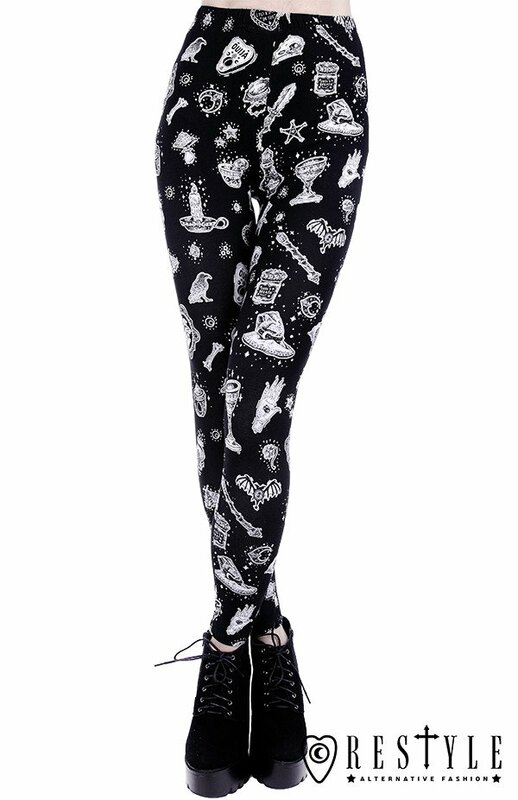 So cute and comfortable. Impressive quality. I'm pleasantly surprised with these! Absolutely love them. I'm 177 cm, 60 kg and I went for size L. It's a bit loose on the waist, but fine if you fold it a bit. This was a great product! Definitely worth the wait! I usually wear a small in clothing and am quite tall so I chose a large for length, although the waist is a bit big the length looks great! Overall very satisfied! Really comfy and worth the price. I'm glad I ordered them! These leggings are very comfortable but the print deforms if the material stretches too much: one size up is a must if you have thicker calves. Great leggings! I followed the recommendation to order one size larger and it fits perfectly. The quality of the material and the printing is surprisingly very good. It is a little free on the waist because I but I fold it a little and it's ok. True to size fit (I'm S and S is perfect for me), really love the design and the price is more than perfect!! Very comfortable and good quality leggings! 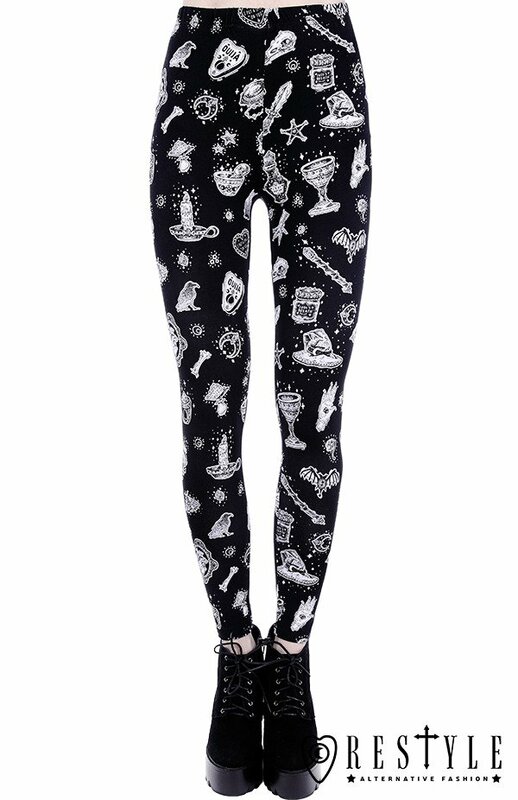 I usually buy leggings a size M, but due to some previous reviews telling that the print is black on white fabric, I bought them in size L and they pretty nice. I love it, it's comfy and i take the perfect size for me. The print is actually black on white fabric, so the black seems a bit more greyish, because of the soft white plushy texture that is coming through. "Very thick cotton" is a bit exagerated: it's a nice normal thickness; nothing super warm either. Those fit like 3/4 on me; I'm 5'10. Overall, a nice product. Normaly I'm a M but I've ordered a L because of my bigger legs and I'm very glad I did. The leggings are so comfy and soft. Great quality! Amazing quality, they fit well and are super comfy. very nice article. you wear perfectly! 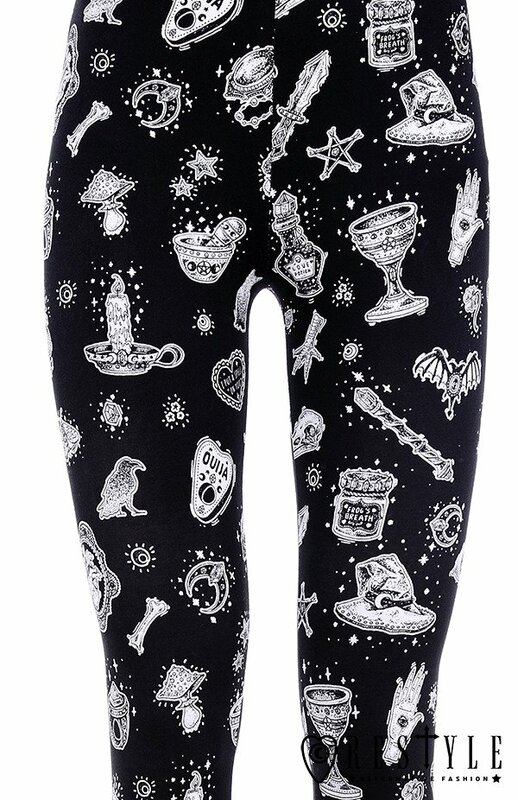 Very pretty leggings. The quality is great, the print is gorgeous and it's not see-through at all. I took the size above my usual one because the comments advised so, and I don't regret, it fits just fine. Great leggings! I am very satisfied. The material is nice and pleasant and also thin, for some mild weather. The print is really solid and it doesn't wash out or cracks . And I definitely recommend buying one size bigger. I ordered L, which is one size bigger than I normally wear, and I didn't make a mistake. They fit perfectly, and they are still comfortable enough to make moves in them freely or sit with no pressure on the waist. I'm in love with the print, really! It's so nice, everytime I look down when I'm wearing them I notice something different on the design. Good material, but I'd definitely say you should order a size up. I'm usually M/L, I went for L and it fits comfortably but I can see the fabric stretches a little too much, maybe I could've gone with XL. Still love it and it's my favourite.